Disorder begets chaos, not peace. In the years immediately following the Second Vatican Council western culture experienced rapid and widespread change. Marriage and the family, the very foundation of society, were attacked at the core. No fault divorce, contraception, and eventually even abortion, found increasing acceptance within society. For Catholics, however, there should have been stability, constancy. There was the Holy Mass. There was Catholic education. There were priests and religious sisters forming and instructing. There was always the Catholic faith. Timeless, immutable, and transcendent. There had been the Council. Announced by Pope John XXIII only a few months into his papacy, the Council would neither seek to declare dogma nor denounce heresy, but rather was only pastoral in its intent. However, there were two great and ominous threats facing the Church. Threats that sought to destroy her, from within and from without. Modernism and Atheistic Communism. Numerous popes, most notably St. Pius X, had warned against the Modernist heresy for nearly 100 years. Bishop Fulton Sheen had warned a 1950’s television audience of millions about the threat posed by Godless Communism. Vatican II spoke not a single word against either. In the decades since the close of the Council we have seen the Church become a devastated vineyard (to borrow Dietrich Von Hildebrand’s phrase). We have seen the widespread loss of sacrality in worship and in the family. The supreme prayer of the Church is the Holy Mass. It is, as St. Peter Julian Eymard called it, the “holiest act of religion.” For nearly 1500 years the Roman Rite had gone largely unchanged. From ecclesial Latin, to the Canon Missae, to chant, all dated back to the time of St. Gregory the Great, if not older. Centuries passed and the Mass continued to develop organically. The Pater Noster, the Last Gospel, even priestly vestments…additions and developments to the Roman liturgy. Not by meeting or committee, but slowly, over time, by local customs and faithful Catholics. By 1970 disorder had become the norm. Chaos indeed followed. Instability and revolution molded modernity. What always was, was now questioned. Doubted. Clarity was for another era. A time past. Ambiguity was the preference of intellectuals and those who had no time for sacred mysteries and ancient rituals. By 1970 the Mass of the Ages was gone. Not altogether, but nevertheless gone for all but a few of the faithful. At a time when storms raged and the ground shifted, the immutable and eternal…changed. Literally, nothing was sacred anymore. What followed was largely a rush to the bottom, as the pedestrian and profane was extolled and the transcendent was escorted from the stage. Ignoring all of Christian history, Catholics began to look at each other at Mass instead of God. Ignoring 17 centuries of tradition Catholics instead took their example from the western apostates and began to worship exclusively in the vernacular. Dismissing both the sacramental priesthood and the very Real Presence of Christ in the Eucharist, man began handling God himself, as if He were just mere bread, or as if we (the laity) had the consecrated hands of priests. Gone was the Roman Canon, now just an option: Eucharistic Prayer 1. Gone was Gregorian Chant, and this in spite of the liturgical movement. Gone was the beauty of high altars, communion rails, and Catholic statuary. As we refused God our very best, denying Him truth, objective beauty and our very identity, the rest disappeared as well over time. Catholic education largely waned. Gone were authentic parochial schools. Religious orders slowly shriveled up, decimated by a post-conciliar culture that devalued contemplation, sacrifice, and discernment. Fewer religious meant fewer prayers and less grace. The world became less grace-filled. Authenticity, the perennial means by which we evangelize, was lost the moment the Church sought to reinvent itself. Amidst the ecclesial, cultural, and political chaos of the era the family often bore the brunt of the attack. The widespread acceptance of artificial birth control, the legalization of no fault divorce and eventually abortion, all took their toll. Throw in feminism and its degradation of true femininity and the maternal nature, and the assault was complete. A Church in flux and in self doubt was no match. When peace and steadfastness were needed, the faithful were given chaos. When Catholics needed meat and potatoes and a fully caffeinated Catholicism, they were instead given rice cakes and decaf. Tradition is that fully caffeinated Catholicism. An increasing number of the faithful have discovered that we need tradition, and we need it now. We need order and peace. 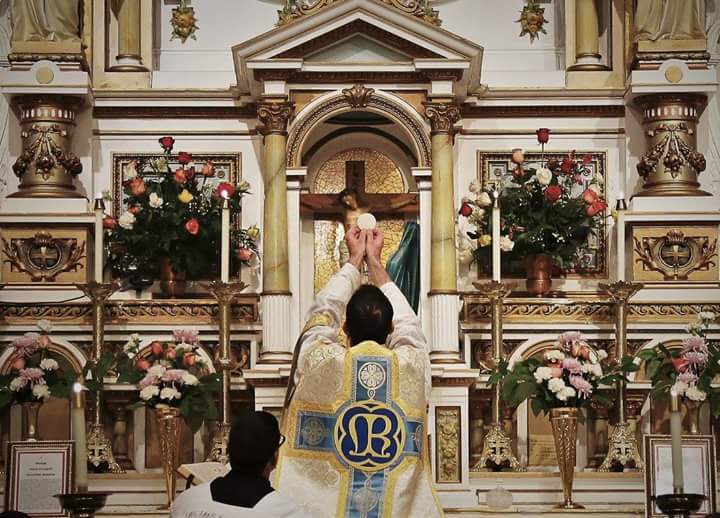 Restoring the sacred, returning to the Traditional Mass, is an intentional decision. It is fortification against disorder. Tradition isn’t nostalgia, nor is it a fad. It most certainly isn’t simply a preference either. It is finding the peace that comes from order, the order that comes from ritual, and the ritual that leads us to God. Tradition is restoration. It’s the recovery of the sacred and an outright assault against disorder. It begins within the family, moves out to the parish community, then onto the diocese, the Church, the secular realm, and finally into the larger culture. But it starts with the family. It’s the principle of subsidiarity applied to prayer. It’s the conscious decision to choose tradition.